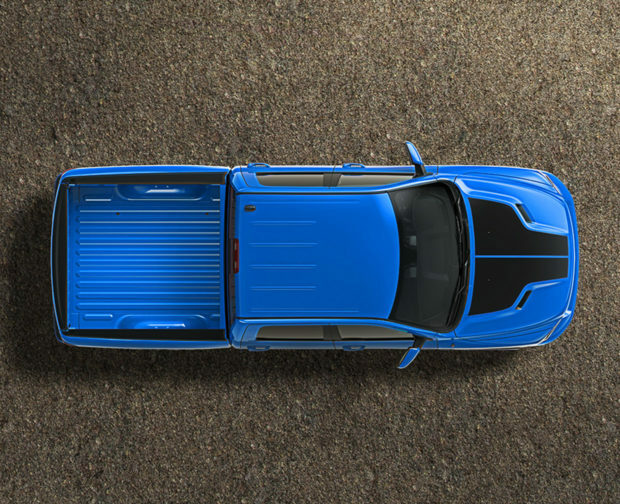 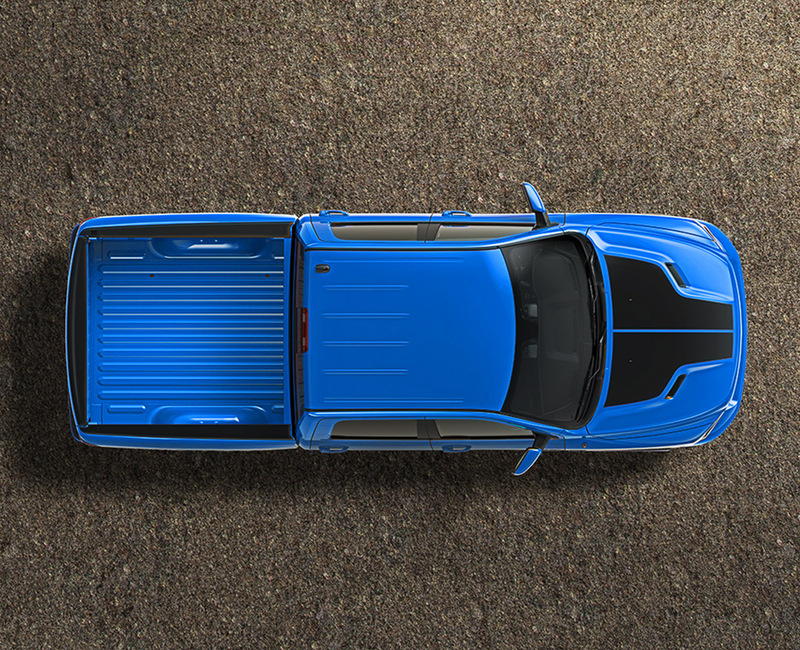 The latest edition of the Ram 1500 pickup line comes in an absolutely fantastic new color scheme, called “Hydro Blue.” Based on the Ram 1500 Sport package, the truck features a monochromatic electric blue pearlcoat paint which appears not only on the body, but on almost all of the body trim. 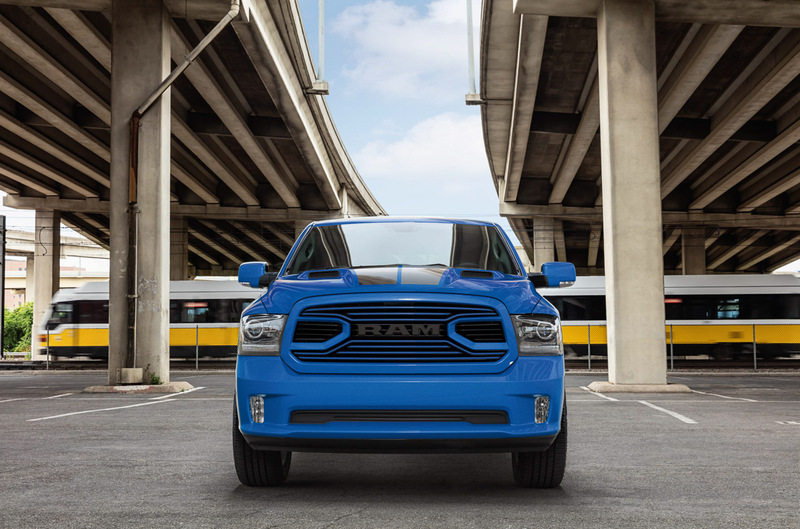 Beyond the matching blue grille, bumpers, and mirrors, there are just a handful of black accents which help to provide contrast and depth, including a black billet grille, black RAM logos, black projector lamps, and black racing stripes on the hood. 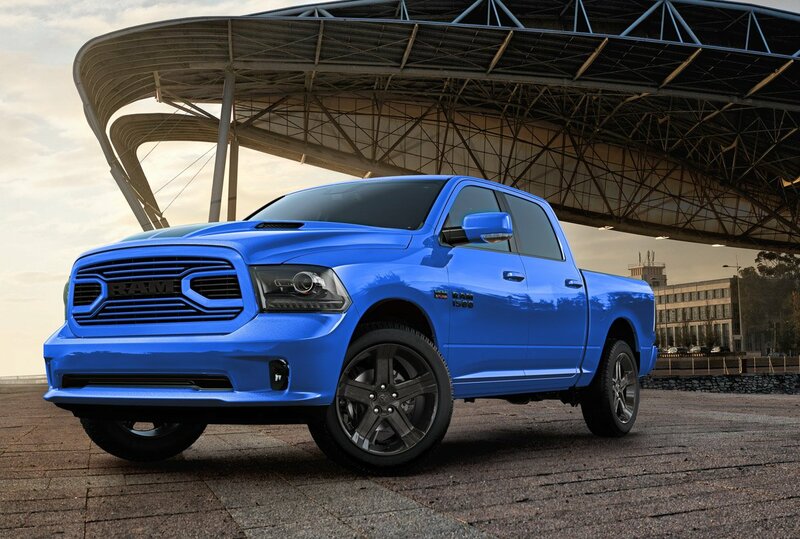 The whole look is really slick if you ask me. Inside, the color scheme continues with Hydro Blue accent stitching on the instrument panel, steering wheel, door trim, and embroidery on the seats. 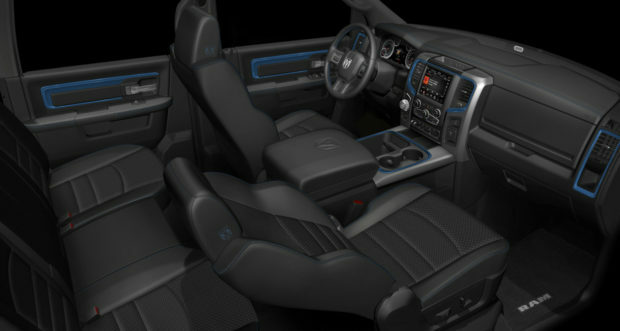 I love the sharp-dressed look of the anodized blue bezels on the doors, instrument panel, center trim, and air vents too. 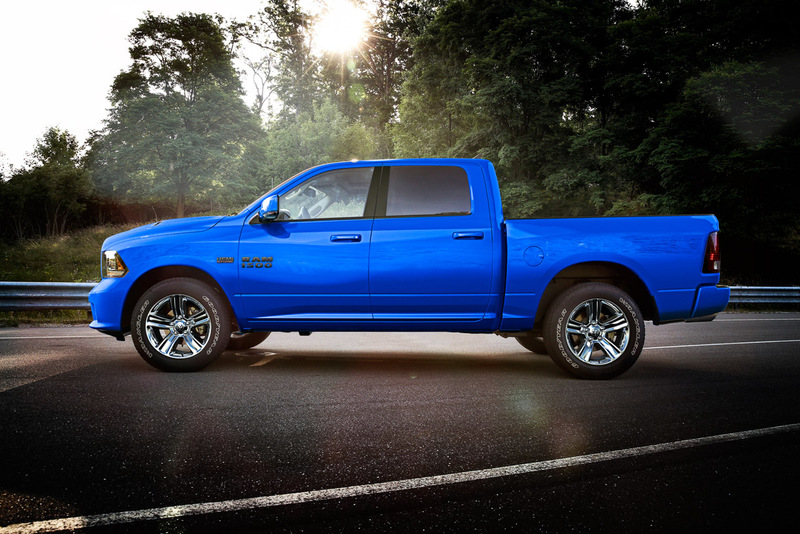 Depending on whether you go with the 4×4 or 4×2 version, you either get 22″ or 20″ aluminum rims, which can optionally be upgraded to gloss black, which I think is the right way to go given the sporty look of the truck. You’ll be able to pick up the Hydro Blue model if you go for a Ram 1500 Sport with a crew cab, short-bed body, and 5.7-liter HEMI V8. 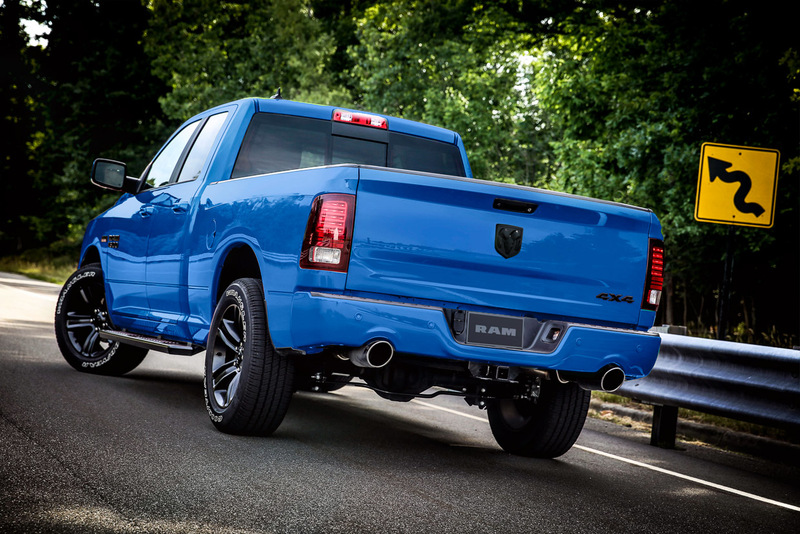 Just 2,000 of these limited-edition trucks will hit Ram dealerships later this year, so if you want one, you might want to pre-order yours now.